Featuring functional style and serious protection, grill guards, brush guards, and bull bars are excellent ways to protect your investment and keep your truck operating in prime condition, no matter how rough the terrain. 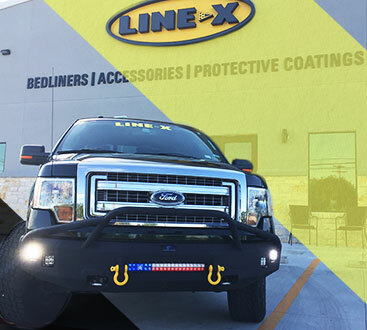 With the full range of customization options and a vast selection of accessories to choose from, LINE-X of Austin can give your truck a fierce-looking front end. Offering complete, comprehensive front-end protection, heavy-gauge tubular steel grill guards protect the front end of your truck and, most importantly, your engine compartment. Especially when paired with a brush guard for headlight protection, grill guards act as a simple deterrent for everything from brush and rogue deer to shopping carts and other vehicles. Helping you confidently cut through the terrain and cruise down the highway with added security, grill guards are an excellent accessory for the discerning truck owner. A small yet effective addition to your truck’s front end, brush guards offer excellent protection against scratches from brush and other small objects you encounter while off-roading. When combined with a grill guard, brush guards can offer full front-end protection for your truck or Jeep. For the occasional off-roader, bull bars are an excellent choice as they offer everything you need, and nothing you don’t. 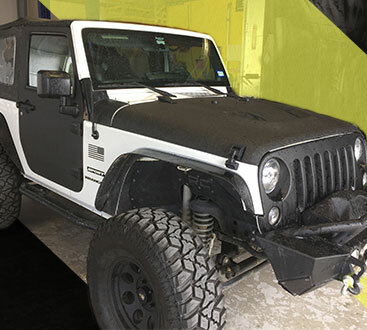 Featuring extra protection without altering your vehicle’s appearance, bull bars protect the most vulnerable spots on your vehicle without the added weight and inconvenience of other, larger options. Ready for an upgrade? Contact our team of experienced truck and Jeep professionals today — we look forward to working with you!